There’s a new Android smartphone joining the Sony Xperia line today, as Sony has now gone all official and announced the Sony Xperia Sola smartphone, a device formerly touting as the Sony Xperia Pepper, and is placed between the Sony Xperia P and Sony Xperia U smartphones. According to the guys over at GSMarena, by way of Sony Mobile, the Sony Xperia Sola is slimmer than the previous Xperia devices, coming in at 9.9mm thick and touts something Sony calls “floating touch,” which apparently allows the user when using the browser, to hover their finger over the display and you finger will act as a cursor so you can hover over links. Apparently Sony has promised to bring this “floating touch” tech to more applications with software updates and has also said they will open it up to developers to use in their own apps. So, what does the Sony Xperia Sola offer spec wise? Well the Android smartphone sports a 3.7-inch Reality Display with Mobile Bravia Engine and scratch resistant glass, a 1GHz dual core processor, a 5 megapixel auto-focus camera with flash and 720p video, FM radio, WiFi with hotspot functionality, Bluetooth, AGPS, DLNA, NFC and a 3.5mm jack and a 1320mAh battery. 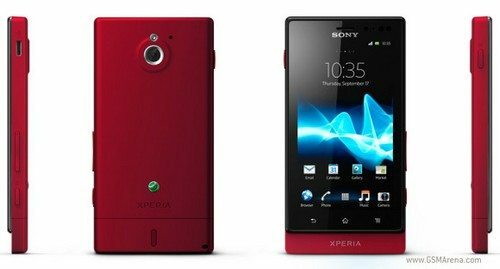 The Sony Xperia Sola measures 116 x 59 x 9.9mm with a weight of 107 grams, and will run the Android 2.3 Gingerbread operating system on lunch, however the smartphone will be upgraded to Android Ice Cream Sandwich at some point in the future. The smartphone will release sometime in the second quarter and becomes available in black, white or red, however at this time there is no word on what the Sony Xeperia Sola will hit your pocket for. Previous article Previous post: Trustworthy Galaxy S3 specs listing with pre-order? I believe this is going to prove to be another mega-flop for Sony. The phone is too heavy with such relatively small screen. Sony still doesn’t get it that you need a much larger screen size to match the increased power of the smartphone. 3.7″ simply is way to small for the raw power. Its look doesn’t help either. In short, Sony just, literally by its own design, undid a good inroad into the Android phone market made by Sony Xperia Arc & Arc S.
on the contrary, Sony is coming out with a very attractive and innovating lineup. They are on the right way to reassert them self in the market. For the high end users there is the Sony Xperia P and for the entry phone is the Xperia U. The Sola could be seen as a more experimental model for testing new technologies on the market without. Iphone with same screen size weigh 140 grams. may be a good battery .! !